Most people choose to have pets because they help enrich our lives. We can take comfort knowing that we not only helped to save a life, but we also get the constant companionship that only a pet can give. But sometimes a pet can behave in ways that are unexpected or undesirable. 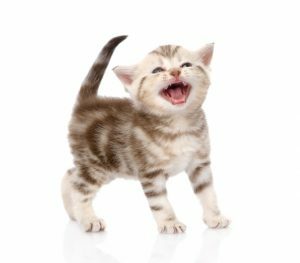 If you’re dealing with cat behavior problems, you know that some small issues can build into much larger concerns. Today, we’ll be going through very common cat behavior problems and what you can do to help your cat overcome them. 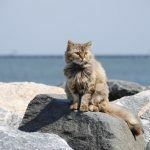 When cat behavior problems come about, they can usually be classified into a few different categories. 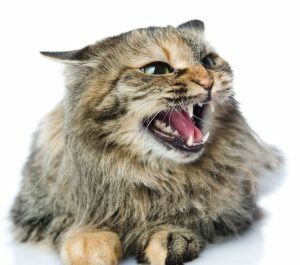 Here are some of the most common behavior problems and what you can do to help your cat get through these problems. Many cat owners complain of vocalization. Vocalization occurs when a cat makes loud noises such as whining. This bothers homeowners and even neighbors in the vicinity! Since cats are often active at night, vocalization may be particularly bothersome to those trying to sleep. Although we won’t discuss all the techniques to stop vocalization, we can suggest some things to do to prevent it. First, your cat’s day should be filled with stimulation and a good meal. If your cat needs anything, it’s more likely to vocalize. Remember to reward good behavior with valuable treats! Placement is important, so be sure to put your scratching area in places your cat likes to lounge. 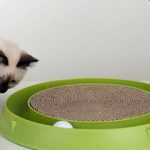 Reward your cat when they use the proper scratching area. Some chewing is normal for cats, but according to PetMD, “It’s important to rule out an underlying medical problem, such as gum disease or gastrointestinal problems, that could be causing your cat’s chewing.” If you see excessive drooling or discoloration in your cat’s gums, visit a vet. To keep them from chewing things you don’t want, keep those items hidden away. If they are prone to chewing important personal items, this is crucial. Like vocalization, chewing can be mitigated by prevention through proper stimulation and a healthy diet. Stress: Even slight changes to their environment can cause a cat to have accidents. Mating Behavior: In non-neutered cats, mating behavior is a common trigger for urinary behavioral issues. Medical Issues: Especially in male cats, urinary tract infections are common. Be sure to get checked out by a vet ASAP. 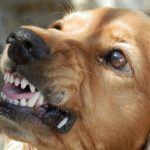 For aggression, it’s best to talk to your vet or a specialized pet behaviorist. They know how best to treat these issues. Constant licking is also called “excessive grooming” in cats. Medically it’s known as “psychogenic alopecia.” It’s a common coping mechanism for stress. 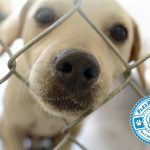 There are many reasons for constant licking, including: itching, a painful spot, parasites, fleas, and neurological issues. So, identifying the underlying issue is crucial to stopping the behavior. It also seems to be the case that excessive grooming is more common with female cats. 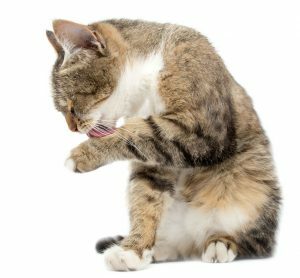 Did you know that cats spend about a third of their day grooming themselves? That’s a TON of time. Therefore, it’s not surprising that common cat behavior problems include constant licking. Excessive grooming results in bald spots, ulcerations, infection, and more serious health issues. We highly suggest limiting stress if you notice your cat excessively licking themselves, then head to a vet to get them checked out. They may prescribe topicals for skin irritations. The point can’t be driven home enough: the best intervention is PREVENTION. You can prevent most unwanted cat behaviors by simply providing exercise, mental stimulation, and proper diet. 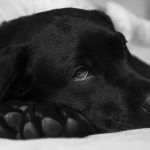 Like with all pets, owners need to keep all these things in mind to keep pets happy and healthy.